TRANSMISSION SIMILAR TO THE ONE SEEN PICTURED. AC COMPRESSOR. POWER STEERING PUMP. EXHAUST MANIFOLD. CARBURETOR OR FUEL INJECTION SYSTEM. INTAKE MANIFOLD. VALVE COVERS. TIMING COVER. Building the Ford C-6 Automatic Transmission 4 hour twin disc DVD. The very best and most exhaustive video ever produced on the C-4. Engine and transmission builder Wayne E Partridge Sr. starts out by stating you first need to know the end play or clearance of the transmission before you remove the front pump. 01-05 HONDA CIVIC 1.7L 4-CYLINDER AUTOMATIC TRANSMISSION JDM D17A SLXA. 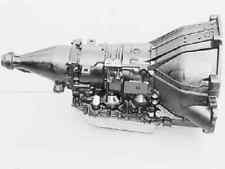 YOU WILL RECEIVE A TRANSMISSION SIMILAR TO THE ONE YOU SEE PICTURED. WE'RE HERE TO HELP. WE WILL DO OUR VERY BEST TO ASSIST YOU. 2006 2007 2008 2009 2010 LEXUS IS250 GS300 GS250 5 SPEED AUTO TRANSMISSION. LEXUS IS250 GS300 AUTOMATIC TRANSMISSION. Arlignton, TX 76011. 827 Avenue H East #213. Dallas JDM Motors. labor (NO EXCEPTIONS). RICKYS AUTO CENTER Inc. LOCATED IN MIAMI, FL HAS FOR SALE (1) 2005- 2006, HONDA ODYSSEY AUTOMATIC TRANSMISSION (BGRA). (FREE TORQUE CONVERTER INCLUDED). PROPER INSTALLATION OF THE TRANSMISSION IS AN IMPORTANT PART OF THE PROCESS. 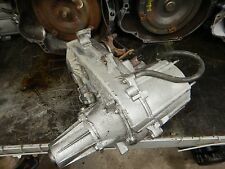 4R75W Ford Truck Transmission 2WD. 2WD 2004- 2010. V8 4.6, 5.4 2WD 2004 - 2010. 4.2, 4.6, 5.0, 5.4 2WD 2004 - 2010. V6 4.2, V8 4.6, V8 5.4 2WD 2004 - 2010. V6 4.2 V8 4.6, V8 5.4 2WD 2004 - 2010. Trending at $1,535.00eBay determines this price through a machine learned model of the product's sale prices within the last 90 days. The transmission K24A is used JDM Transmission imported directly from Japan that is used in Honda Accord (2003 to 2007). It has an Automatic Transmission. It will definitely improve performance of your car after replacement. JDM Orlando features this engine with 3 months replacement warranty and provide express shipping at your door-step all over the United States, Canada and other countries. JDM Orlando also provides reliable installation service for customers based in Orlando area Florida with 4 months parts and labor warranty. PARTS INCLUDED: ---TRANSMISSION ---TORQUE CONVERTER SAMPLE PICTURES ARE SHOWN. OEM, GOOD CONDITION, 69K MILES, FWD, 30 DAY WARRANTY!! NOTE: TRANSFER ALL U.S. EXTERNAL SENSORS TO JDM TRANSMISSION FOR IT TO WORK PROPERLY. TRANSMISSION SIMILAR TO THE ONE PICTURED. 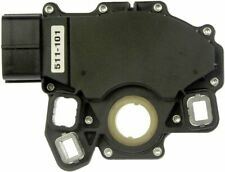 WARRANTY COVERS INTERNAL MOVING COMPONENTS OF THE TRANSMISSION ONLY. EXTERNAL ACCESSORIES AND SENSORS ARE NOT COVERED UNDER WARRANTY. ALN JDM Auto Motors is one the largest JDM Low Mileage Engines & Transmissions Importer! " YOU WILL RECEIVE A SIMILAR TRANSMISSION WITH EXTERNAL ACCESSORIES ". SAMPLE PICTURES SHOWN . 2.4L AUTOMATIC FWD TRANSMISSION. (INCLUDING SHIFT SOLENOIDS) FROM YOUR TRANSMISSION THIS ONE. (4-CYLINDER ONLY) HERE IN THE UNITED STATES. IN ORDER TO INSTALL THIS TRANSMISSION IN THE UNITED STATES, YOU'D MAY HAVE TO TRANSFER ALL OF THE OF EXTERNAL ACCESSORIES. IN ORDER TO INSTALL THIS TRANSMISSION IN THE UNITED STATES, YOU'D HAVE TO TRANSFER ALL OF THE OF EXTERNAL ACCESSORIES (INCLUDING SHIFT SOLENOIDS) FROM YOUR TRANSMISSION THIS ONE. 2.3L SOHC AUTOMATIC TRANSMISSION. 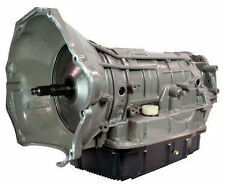 · 4L60E Remanufactured Transmission with Torque Converter. · 2WD or 4X4. · Chevrolet Silverado 1500. · Year 2003. The extent of our responsibility is repairing or replacing your transmission. · Clutches (Raybestos or Borg Warner only). (FREE heavy duty TORQUE CONVERTER INCLUDED). PROPER INSTALLATION OF THE TRANSMISSION IS AN IMPORTANT PART OF THE PROCESS. 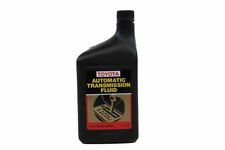 EXTERNAL SOLENOIDS/SENSORS MUST BE TAKEN FROM YOUR OLD TRANSMISSION. Used Imported JDM. JDM Engines Chicago. NOT INCLUDING HI, AK, PR and remote areas in the lower 48 states! NO EXCEPTIONS! WE'RE HERE TO HELP. WE WILL DO OUR VERY BEST TO ASSIST YOU. VERY IMPORTANT NOTE. ALL OF OUR ENGINES AND TRANSMISSIONS HAVE ABOUT 45-65K MILES ON IT. Free Shipping! 60 Day Warranty! No Core Charge! 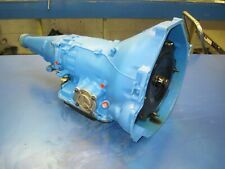 A500 Remanufactured Jeep Transmission 4X4. Our transmissions are all extensively modified to be highly competitive and very durable.We strive to exceed your expectations with competitive, high quality remanufactured transmissions. The oil circuit which releases or holds the servo off is present as forward clutch oil in 1, 2, 3 ranges. If this release oil leaks through the case, it can cause the O.D. band to drag and/or forward clutches to overheat. 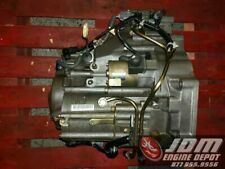 02 03 04 HONDA CRV 2.4L 2WD/FWD AUTOMATIC TRANSMISSION JDM K24A. JDM HONDA 4-CYLINDER FWD 5-SPEED AUTOMATIC TRANSMISSION. 5-SPEED AUTOMATIC FWD TRANSMISSION. (INCLUDING SHIFT SOLENOIDS) FROM YOUR TRANSMISSION THIS ONE. JDM 05 06 HONDA ODYSSEY J35A AUTOMATIC TRANSMISSION. JDM 05 06 HONDA ODYSSEY AUTOMATIC TRANSMISSION. LA JDM INC. EX LX MODELS ONLY. LA JDM is not responsible for any labor costs. YOU WILL RECEIVE A TRANSMISSION SIMILAR TO THE ONE SEEN PICTURED. NO EXCEPTIONS! WE'RE HERE TO HELP. WE WILL DO OUR VERY BEST TO ASSIST YOU. VERY IMPORTANT NOTE. ALL OF OUR ENGINES AND TRANSMISSIONS HAVE ABOUT 45-65K MILES ON IT. DYNO TESTED, HD TORQUE CONVERTER, BEST PRICES ON EBAY! JDM 1994-1997 HONDA /ACURA INTEGRA 1.8L 4CYL AUTOMATIC TRANSMISSION. NOTE: THIS TRANSMISSION IS INTERCHANGEABLE WITH 1994-1997 ACURA INTEGRA HERE IN THE UNITED STATES. 1994-1997 HONDA/ACURA INTEGRA. 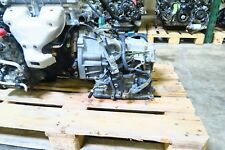 01-05 HONDA CIVIC 1.7L SINGLE CAM AUTOMATIC TRANSMISSION JDM D17A SLXA. YOU WILL RECEIVE A TRANSMISSION SIMILAR TO THE ONE SEEN PICTURED. AC COMPRESSOR. POWER STEERING PUMP. EXHAUST MANIFOLD. CARBURETOR OR FUEL INJECTION SYSTEM. We require your old transmission. I am not trying to cheat you out of your money. When I get your old transmission back, your warranty goes into effect. We will try everything to make you happy! Above all. 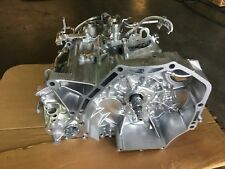 03-07 NISSAN MAXIMA MURANO QUEST 3.5L V6 AUTO FWD CVT TRANSMISSION JDM VQ35DE. JDM NISSAN 3.5L V6 AUTOMATIC CVT TRANSMISSION. 3.5L V6 (FWD) AUTOMATIC CVT TRANSMISSION. 2002-2007 NISSAN MAXIMA. NOTE: THIS TRANSMISSION IS INTERCHANGEABLE WITH DIFFERENT NISSAN MODELS/YEARS HERE IN THE UNITED STATES. CENTURY 96 AT; 4T60E (opt M13). CIERA 96 AT; 4T60E. - The third level quality part. - The second level quality part. It is of average miles and normal condition for its age. - The highest quality part. Transfer case was taken out of a Jeep Wrangler. Thoroughly tested, 4 wheel drive was perfect and shifted nice. Fluid was clean. DeadJeep is your first and only stop for rebuilding or repairing your Jeep. JDM 05 06 HONDA ODYSSEY J35A AUTOMATIC TRANSMISSION. JDM 05 06 HONDA ODYSSEY AUTOMATIC TRANSMISSION. LA JDM INC. LA JDM is not responsible for any labor costs. ALL TRANSMISSION SENSORS, SOLENOIDS ,COOLANT MUST BE SWITCH OVER WITH YOUR ORIGINAL TRANSMISSION AND USE PROVIDED FLYWHEEL IN ORDER TO MAKE IT WORK! ALSO JDM TRANSMISSION DOES HAVE TOP MOUNT ON THE TRANS! Condition: 133k. Model: ACURA RL. ACURA RL 05 AT. Transmission Assy. J & J Auto Wrecking was established in 1957! We are here to serve you and are always more than happy to hear from you. Part Grade Abbreviations. Transfer Case Diff. Arlignton, TX 76011. Dallas JDM Motors. ALL ENGINES ARE TESTED BEFORE SOLD AND COVERED BY WARRANTY. 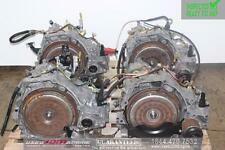 ALN JDM Auto Motors is one the largestJDM Low Mileage Engines & Transmissions Importer! " YOU WILL RECEIVE A SIMILAR TRANSMISSION AS SHOWN ". AND IMPORTED TO US DIRECTLY! 5 Series E34. This transmission was taken from a running 1994 530i Sedan with ~145k miles. The transmission was thoroughly tested and working in forward gears and reverse. The transmission functions normally throughout. FORD EXCURSION. FORD EXPEDTION. WE HAVE THE ANSWER TO YOUR PROBLEM! F150 LIGHTING 5.4L. 7.3L DIESEL TRUCK. Condition: 107k. Model: TRAILBLAZER. Transmission Assy. CHEVROLET TRAIL BLAZER (113 W.B.) 08 AT, 6.0L, 4x4. SAAB 9-7X 08 AT, 8 cylinder, 6.0L. A = Less than or equal to 60k miles, or greater than 60k miles but less than or equal to 200k miles and less than or equal to 15k miles per year. THIS LISTING IS FOR A USED 2007-2012 NISSAN SENTRA 2.0L AUTOMATIC CVT TRANSMISSION IMPORTED FROM JAPAN SAMPLE PICTURES ARE SHOWN YOU WILL RECEIVE THE NISSAN SENTRA 2.0L AUTOMATIC CVT TRANSMISSION AS SEEN IN PICTURES PARTS INCLUDED: NISSAN SENTRA 2.0L AUTOMATIC CVT TRANSMISSION TORQUE CONVERTER. 3 Series E90. This transmission was taken from a running 2009 335xi E92 with ~122k miles. The transmission was tested in forward and reverse gears, and they functioned normally. The transfer case is not included. JDM SUBARU LEGACY 2.5i (BM9/BR9) 2.5L AUTOMATIC AWD (ALL WHEEL DRIVE) VTD TRANSMISSION. 2.5L SOHC AWD (VTD) TRANSMISSION. JDM 2009-2010 SUBARU LEGACY 2.5i (BM9/BR9). NOTE: THIS TRANSMISSION IS INTERCHANGEABLE WITH DIFFERENT SUBARU MODELS AS WELL AS DIFFERENT YEARS (WITH MODIFICATIONS) HERE IN THE UNITED STATES.